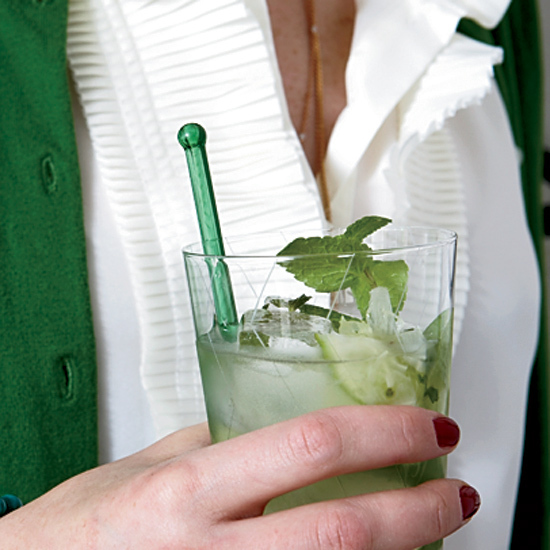 In a tall glass, muddle the pieces of lime with the mint leaves and sugar until the sugar is dissolved. Fill the glass with ice and stir in the rum and club soda. Garnish with the mint sprig and serve right away.